١ A lifeguard passes one of Royal Deluxe's giant marionette puppets as it lies on the beach at New Brighton, Britain. 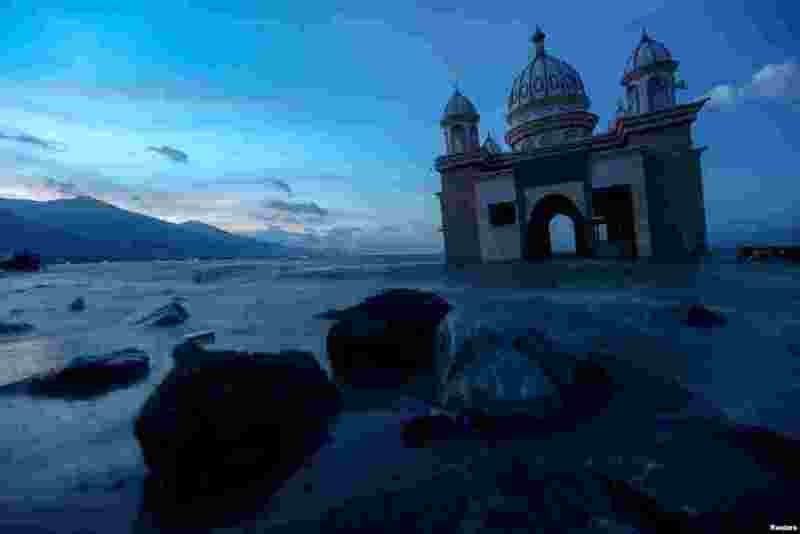 ٢ Remains of a mosque destroyed by the earthquake and tsunami is pictured in Palu, Central Sulawesi, Indonesia. 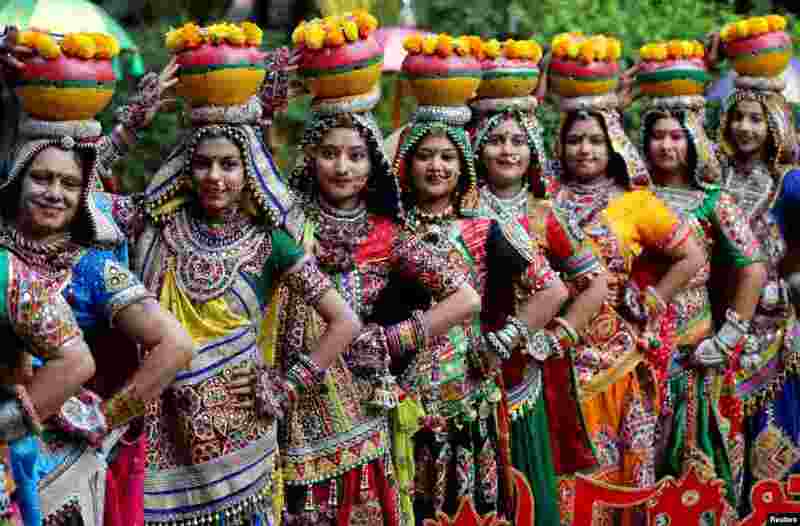 ٣ Women pose for pictures during rehearsals for Garba, a folk dance, ahead of Navratri, a festival during which devotees worship the Hindu goddess Durga and youths dance in traditional costumes, in Ahmedabad, India. 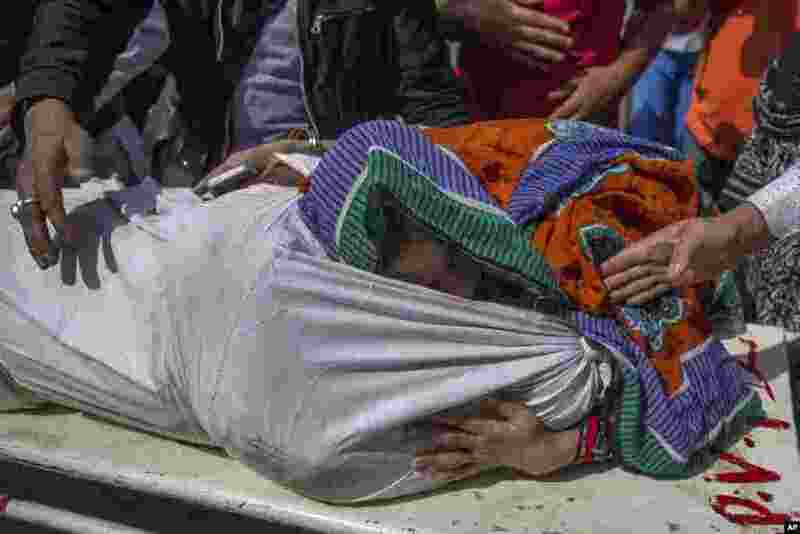 ٤ A Kashmiri woman hugs the body of a relative as it is carried on a stretcher outside a local hospital in Srinagar, Indian controlled Kashmir. Police say suspected rebels shot and killed two activists affiliated with a pro-India Kashmiri group.